Looks like we made good use of Threadbanger Box goodies! Jazmin made these two spooky ghost using the Ghost kit. 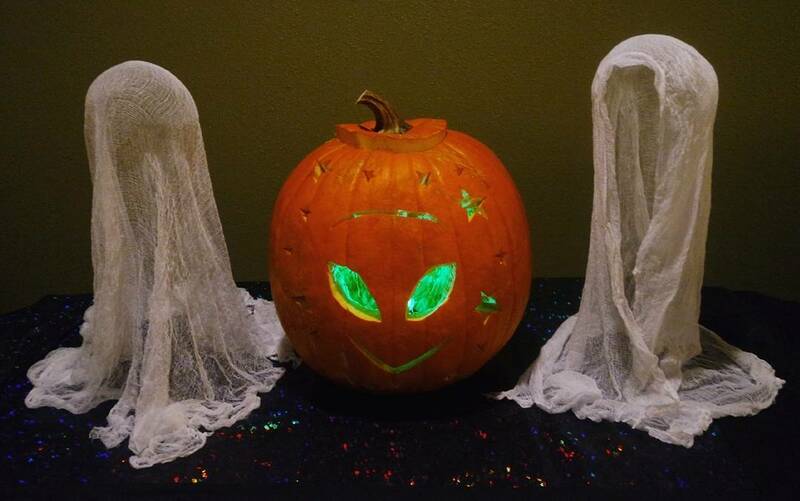 Then Dulce carved an alien and used the color changing light to lit up the pumpkin. Don't all these creations look so fun?